You have to give him this - director Guillermo del Toro has a knack for crafting things that truly go bump in the night. Back in 1997, the fledgling filmmaker made his big Hollywood debut with a creepy-crawling, giant bug-infested fright flick called "Mimic." Although far from a blockbuster, the movie is a nifty genre piece with legitimately skin-crawling effects and mood - and now del Toro has revisited it with the new-to-Blu-ray "director's cut" arriving September 27th. In the above exclusive glimpse at the behind-the-scenes features, del Toro - who would go on to direct an impressive mix of box office hits and critical gems like "Blade II," "The Devil's Backbone," "Hellboy" and "Pan's Labyrinth" - discusses his approach to suspense and tension over out-and-out scares. "Mimic: The Director's Cut" arrives on Blu-ray September 27th. 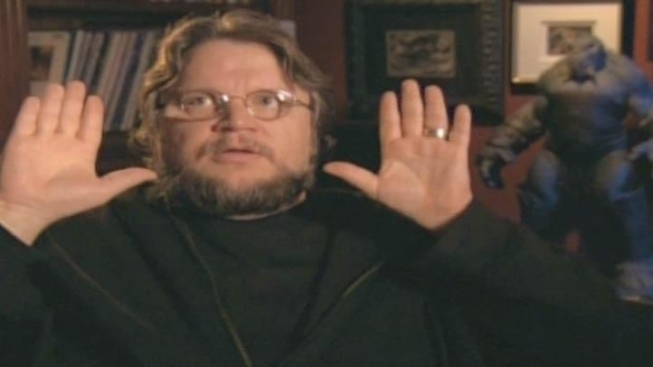 Guillermo del Toro is currently at work on the giant monster rampage movie "Pacific Rim," due out in 2012.